Scania will contribute to a new research centre at the Stockholm School of Economics (SSE) over the next ten years. The collaboration will focus on business models for the future transport ecosystem. “Scania is a technology-driven company, and as such, we are very successful. Both the industry and the transport sector are facing big changes, and future technology will create totally new business models within the ecosystem that Scania, its customers and partners operate. That perspective will be the focus of our partnership with Stockholm School of Economics,” says Henrik Henriksson, President and CEO of Scania. The research centre, which will be named Scania Center of Innovation and Operational Excellence will be run by Associate Professor Martin Sköld. Along with other researchers, Sköld will work with matters connected to the ecosystem of the transport and logistics business. “The new centre will provide a considerable addition to our research and education in innovation. Scania’s engagement and its insightful approach regarding innovation in manufacturing and industrial ecosystems make it an ideal partner for us,” says Lars Strannegård, President at Stockholm School of Economics. The new research centre will be part of SSE’s institution for innovation, which also encompasses other research centres that focus on entrepreneurship, innovative and sustainable management control and digital innovation. Scania will also be represented in the institution’s advisory board. “To take a leading role in the shift towards a sustainable transport system, Scania has initiated several strategic cooperations with universities, customers and other technology companies. For a long time, we have had a strong partnership with the KTH Royal Institute of Technology in Stockholm, which is our main supplier of technological competence. We are now broadening our reach by deepening our cooperation with SSE,” says Tony Sandberg, Research Director at Scania. Scania is a world-leading provider of transport solutions. Together with our partners and customers we are driving the shift towards a sustainable transport system. In 2017, we delivered 82,500 trucks, 8,300 buses as well as 8,500 industrial and marine engines to our customers. Net sales totalled nearly SEK 120 billion, of which about 20 percent were services-related. Founded in 1891, Scania now operates in more than 100 countries and employs some 49,300 people. Research and development are concentrated in Sweden, with branches in Brazil and India. Production takes place in Europe, Latin America and Asia, with regional production centres in Africa, Asia and Eurasia. Scania is part of TRATON AG. For more information visit: www.scania.com. The Stockholm School of Economics is rated as a top business school in the Nordic and Baltic countries and enjoys a strong international reputation. World-class research forms the foundation of our educational offering, which includes bachelor, master, PhD, EMBA, and Executive Education programs. Our programs are developed in close cooperation with the business and research communities, providing graduates substantial potential to attain leading positions in companies and other organizations. The School is accredited by EQUIS, certifying that all of its principal activities – teaching as well as research – maintain the highest international standards. 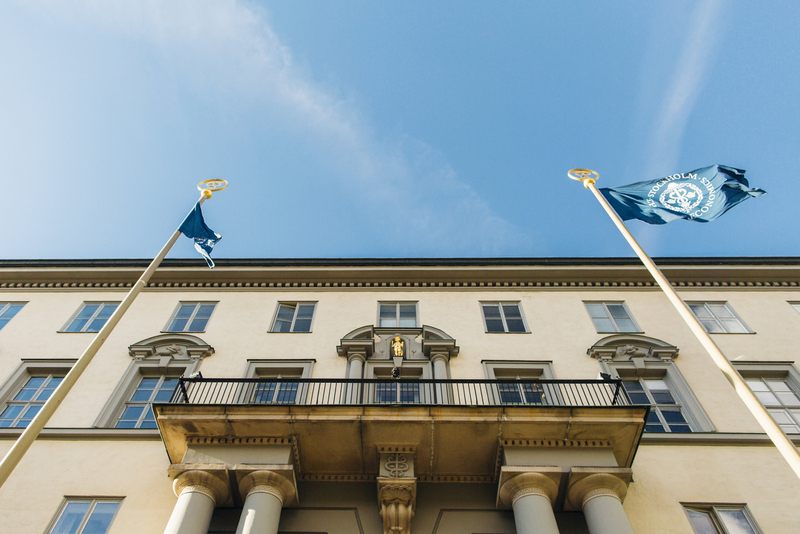 The Stockholm School of Economics is also the only Swedish member institution of CEMS and PIM, which are collaborations between top business schools worldwide, contributing to the level of quality for which our school is known.